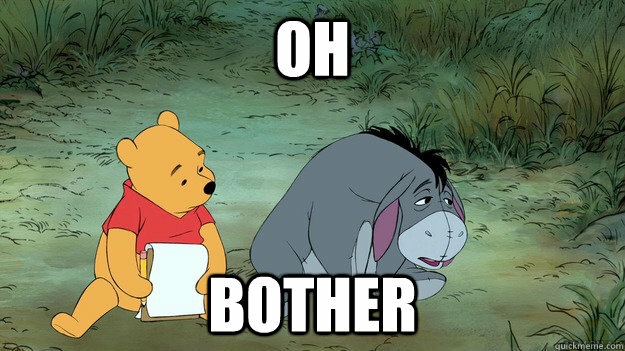 The Sabres came into the city of Winnie the Pooh with ten wins in their last 13. They played like Eeyore. They were out muscled and out hustled. 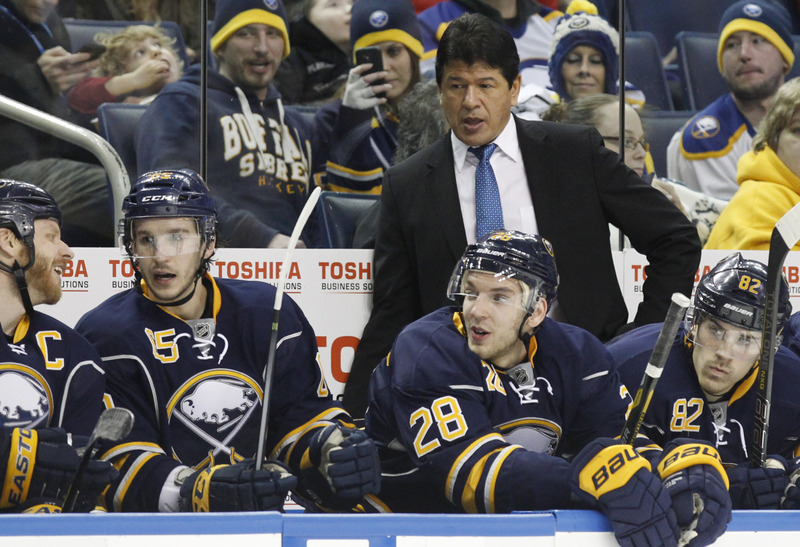 Ted Nolan would have no excuses for the terrible play. While Hodgson and Meszaros were ultimately benched for the majority of the game their dismal play offered more ice-time to newly recalled forward Mikhail Grigorenko. He played admirably in a 5-1 loss winning 53% of his face-offs, a key feature which caused Hodgson to be benched with less than five minutes of game time under his waist. Grigorenko was the first of the significant Amerks to receive the call up. Though he was sent back down to the AHL today he will likely be called up again soon. The Amerks play tonight and Friday while the Sabres do not play next until Saturday. Mitchell’s foot injury is unlikely to have healed itself by Saturday’s game. 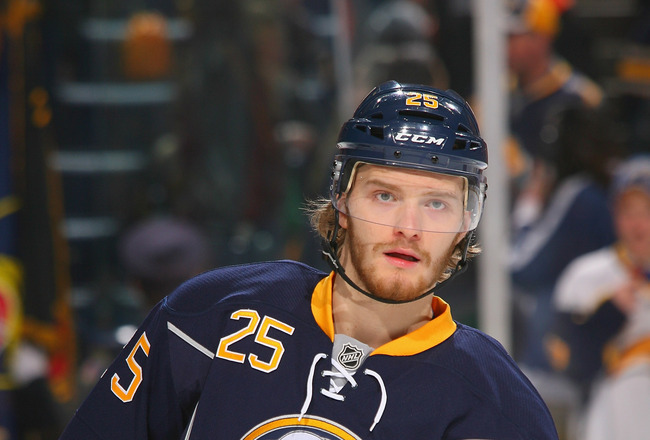 Grigorenko could see a continued look in the coming month. He just needs to focus on what is at hand. 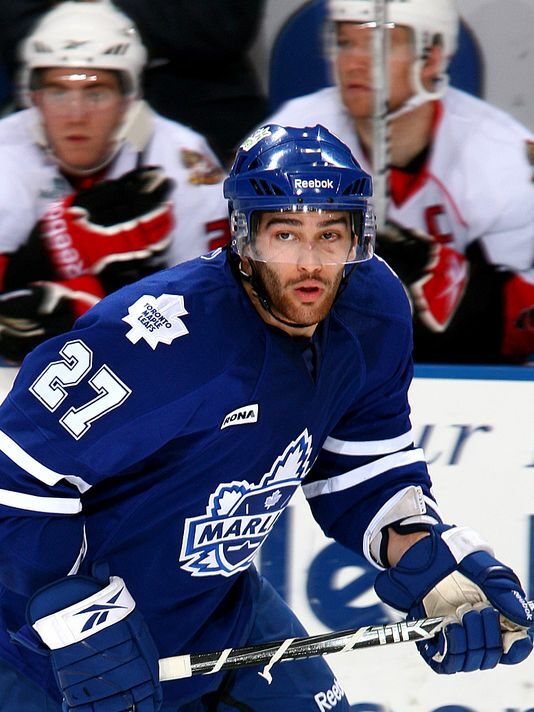 He says resentment no longer fills his thoughts about playing in the AHL. His actions will speak for him. Can he keep up his good play with the Amerks? He’s done well thus far, 19 points, 27 games, -2 on the AHL equivalent of the Buffalo Sabres. The defensive core has weaknesses, aside from injuries. Meszaros is not the player he used to be nor is he able to not just help the Sabres but help himself (he may be masking a head inj). He is on a one year contract. He has demonstrated thus far that he isn’t worth a roster spot on any team playing poorly any time he’s on the ice. With the young players getting more playing time with other teams, Spurgeron, Brodin, Klingsberg, to name a few, Meszaros may need to contemplate taking his game to the land of the diminishing ruble or another league. He isn’t washed up or a has-been… yet. He has done nothing to stem the growth of those ideas. His play is just poor, incomplete passes, misses on defensive assignments, non-existent in the offensive side of the game either. Meszaros’ poor play and diminished ice time is a clear sign that the door is open for certain Amerks D to display why they should be in the NHL. Pysyk, Ruhwedel, McCabe are all front runners, each having spent some portion of time with the Sabres in the past. Yet of the three Pysyk has been the worst stat wise for the Amerks while Ruhwedel has been the best. Ruhwedel and McCabe are positive in the +/- at +1 with Pysyk at -7. Ruhwedel (15) has more points than Pysyk (7) while McCabe (7) is tied. Chad Cassidy will need to turn the Amerks around. Leaning on these three defensemen should be the mantra going forward. 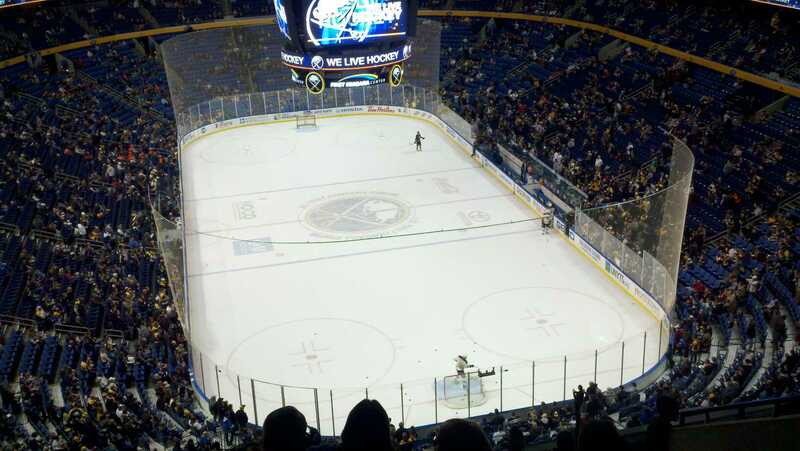 From the Sabres to the Amerks a monumental shift needs to be realized to leave the basement. What that shift is may be well unknown to the parties involved. The onus resides with the players. They are the focal point by their coaches and management. If there was any more of a sign that management and coaches are tired of poor play, lack of work ethic, lack of dedication, the Sabres traded away Luke Adam to Columbus for D’Amigo (Binghamton native) in what is just a start of a momentum shift. D’Amigo is a hard-working player known for his commitment and dedication to hard-work. D’Amigo’s entrance and Adams’ exit is clear indication that all levels of the Sabres’ organization is to be altered. 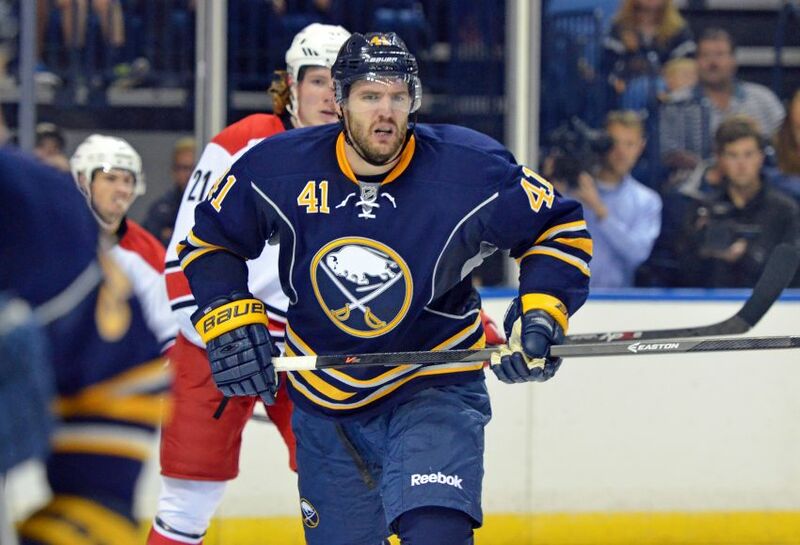 D’Amigo was immediately placed with the Amerks however do not be surprised if he plays a handful of games with the Sabres throughout the course of the year. Though it’s unlikely he’ll replace Hodgson, he could see some call up time should Stewart be moved or benched. He’s just a stitch to heal the wound, an AHL player with low-line NHL potential. If Ted Nolan being at the helm and Tim Murray pulling the strings was not enough of a sign that hard-work, ethics, determination, a team approach, old-style hockey (in terms of preparedness in body and mind) is the future of the Sabres then perhaps the blatant benching of Meszaros and Hodgson along with the trade of Luke Adam will stir the rest into realization. These two are not yes-men. They will not praise you or stroke your ego undeservedly. They care little about your potential. You are not their meal-ticket to fame and fortune. I go out on a limb here to say this: They don’t care about fame and fortune. They are not glitz, glamor, and the nightlife people. They are hard-working folk who care about competency. They do their best while striving for better. Their mystique is about improvement, growth, commitment, dedication. They are rock-solid and true. They are the type of person that can be counted upon. Can the same be said of the players? This entry was posted in Buffalo Sabres and tagged Andrej Meszároš, Jerry D’Amigo, Mikhail Grigorenko. Bookmark the permalink.